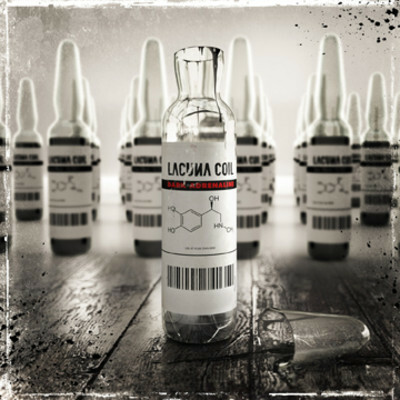 If you haven't guessed by now, we love Lacuna Coil's brand new album here at Think Muzik. We have raved about it more than once in previous posts. I was never a fan of this band before, having heard a few songs they did, including one from the soundtrack to Resident Evil: Apocalypse. I thought that song was good but not great. I was also highly skeptical due to the Gothic influences they portrayed, especially in earlier albums. I put all that aside though, when earlier this year, I decided I would give their new record a listen. I was hooked. 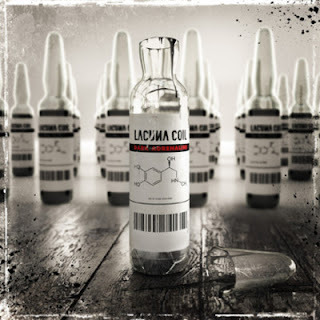 What Lacuna Coil did well before, they did better with this album. Never before did dual vocalists strike me like Christina Scabbia and Andrea Ferro do. They harmonize so well with melodic singing that is it hard to imagine a better duet. Combining both Male and Female vocals in hard rock and metal was never a strong point as far as I was concerned. Not only did the vocals on this album blow me away, but the instrumentals, while retaining the dark feeling, added life to the songs instead of draining it away with Gothic sensationalism. This album is mostly hard rock, and not very metal, which works extremely well in this case. The drumming and bass are tight but never take over the music. This is good music to rock out to but is still good to sing along with. This album is such a good listen that it never gets old, even with repeated listens. This rock band from Milan, Italy, creates fascinating, intense music that still manages to portray all the emotion that teen angst bands can and more, despite both Scabbia and Ferro being over 40 years old. The band have shown solid progress with this release. This is one of the must-own albums of 2012 and it is easy to see why. The deluxe version of this record includes a set of mostly-forgettable live acoustic recordings. To me, these extra tracks are not worth spending the extra two or three dollars on, but I can safely omit these from the album since they are bonus tracks only. One of the songs on the album is a fantastic, better-than-the-original cover of Losing my Religion by R.E.M. If you are a fan of rock music, buy this record. This is easily one of the best releases of 2012. Check out a couple of tracks we haven't yet posted below. Labels: gothic rock, hard rock, Lacuna Coil, metal, R.E.M. While I enjoy Lacuna Coil, I think that their cover of R. E. M.'s classic Losing My Religion is atrocious, but I'm not a big fan of covers. That said, this is an excellent album.